In Greek mythology Terpsichore is one of the nine muses, and the goddess of dance and chorus. So it felt like a fitting name for this blog post. A group of dancers and a nice sunset in a good location is a recipe for some great photos. 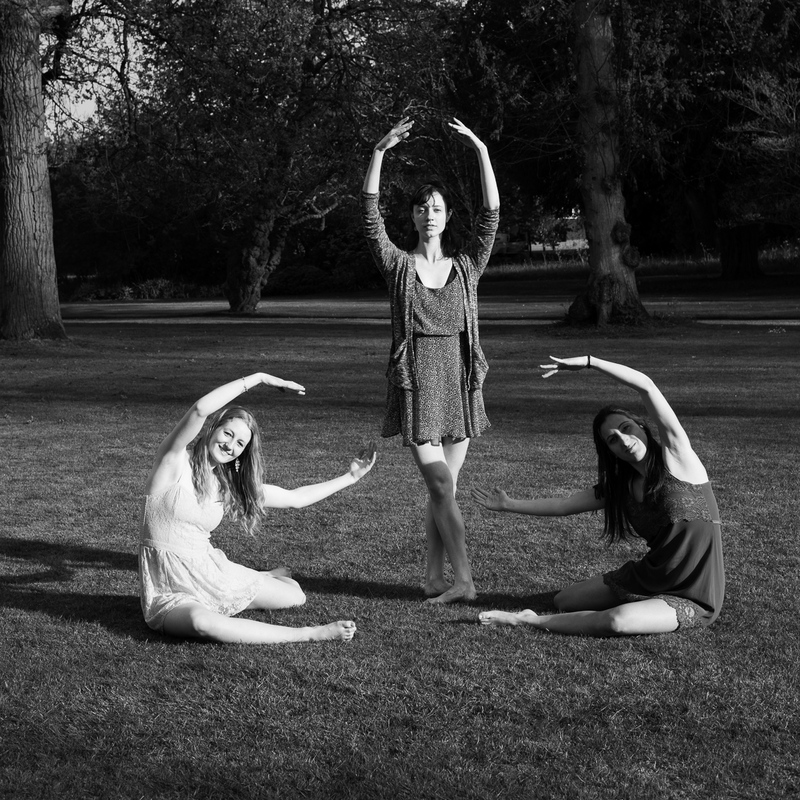 On this particular evening I met up with Emma Cohen, Lucy Ashfield, Sarah Richards, Alice Zhangi and Elena Natale at Newnham College Gardens for an outdoor dance photoshoot. We walked around in the gardens and found some beautiful backgrounds for the dancers. Below are some of my favourite photos from the evening. 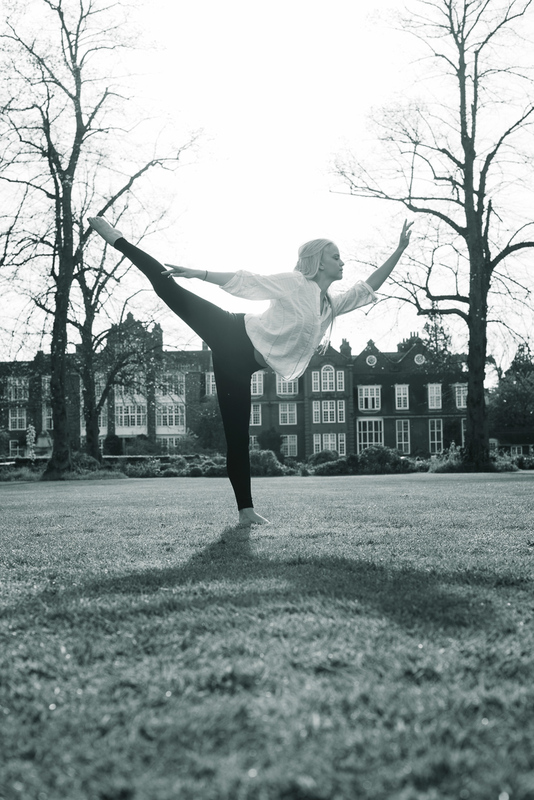 Lucy Ashfield photographed with the sun behind her, to see what kind of shadows we could make. Emma Cohen striking a pose. She is standing in the sun, while I chose a background in shadows, to make her stand out better. Lucy Ashfield and Sarah Richards. A bit further west in the gardens we found this spot. Lucy Ashfield. Here I was shooting from a low angle to get her leg and arm above the buildings. Sarah Richards shot in the same location as Lucy, but by taking a step to the left I get a bit more sunlight on her face. Emma Cohen. Here we wanted to see if we could get her arm to cover the sun for a dramatic backlit photo. Emma Cohen. By angling the camera down we avoid the lens flares. The plan was to have the obelisk in the background but I was too busy focusing on the sun to remember that. Emma Cohen. Towers of brick and a human tower. Lucy Ashfield jumping off a table to get some extra clearance over the buildings. Alice Zhangi. After playing around with the sun we decided to go hunting for doorways. Emma Cohen making good use of the space. I wonder what the occupants of the house would have thought if they had happened to look outside. One more jump by Lucy Ashfield. This time from a wooden bench. Emma Cohen does the last jump of the day. It was a great evening! Many thanks to Emma, Lucy, Sarah, Ashley and Elena! For more dance photos, check out the dance category on the blog.